Planning an Adventure is Half the Fun! Earlier this year, my husband Dale, and I were hanging out in the front room, watching television and talking about the upcoming summer. We usually plan a few weekend trips and a couple of overnight hikes. He came up with the brilliant idea of going on a major backpacking trip this summer. By major, I mean, packing up everything you own to keep yourself alive for 5-6 days in the unforgiving Colorado wilderness, strapping it to your back and wandering down a trail to parts unknown. A couple of summers ago, we backpacked three segments (42 miles) of the 28 segment, 500+ mile, Colorado Trail. One life goal of mine has been to complete Colorado’s premier trail ~ not as a thru-hiker, but as a segment hiker. Many hikers complete the trail as thru-hikers in about a month to a month and a half. I have no desire to pound out the heavy mileage day after day, with my head down, my earbuds blasting trail music, not interacting with anyone for fear of being thrown off schedule. For me, work gets in the way of completing more than a few segments at a time. Plus, I really don’t think my body or my mind could handle more than six days on a trail at any given time. When Dale brought up the CT hike, I jumped on it like a rat on a Cheeto! First of all, we have something fun to look forward to this summer and second, we get to plan for more segments on Colorado’s premier trail. Which, in turn, means, we get to drag out all our CT books that are gathering dust so we can figure out which segments we are going to tackle. Mileage is very important. We live hours from the trailheads and need to factor in our traveling time to and from the TH. Then we need to figure out who gets to drop us off and pick us up 5-6 days later. **More highway travel time equals less time on the trail. Note to self: Need to put in for vacation time… a lot of it…. Next, we plan how long we can be on the trail. One doesn’t just throw some gear in a pack and head down a trail. Many things need to be taken into consideration. Given the terrain, how many miles per day can we hike? Where are the water sources? Where are the best campsites? Will there be a lot of exposure? Will we be susceptible to thunderstorms? Snow? What are the weather patterns looking like? When will the largest elevation gains and losses occur? Given the amount of snowpack, which month should we go? So many questions to be answered. Our guidebooks and maps will help to answer some of the questions. Our experience and intuition will help with the rest. I get to plan the menu for each day and then start dehydrating food. I’ll pack our meals neatly into gallon size baggies with the order in which we eat it. Menu preparation takes a long time, but is very rewarding ~ our survival depends on it. Lastly, I get to go through our hiking box and start separating out all our gear. That’s my favorite part. When I open the lid of our hiking box I swear I hear angels singing. I love to go through our gear, touching every piece like it’s the holy grail. We have gear for all types of weather ~ it’s Colorado. The weather patterns change every five minutes! Better get out my notebook and start planning. I will fill my notebook with notes, menus and schedules. My eyes are glazing over and I’m already dreaming of our time on the trail…summer in Colorado is already starting to look good! 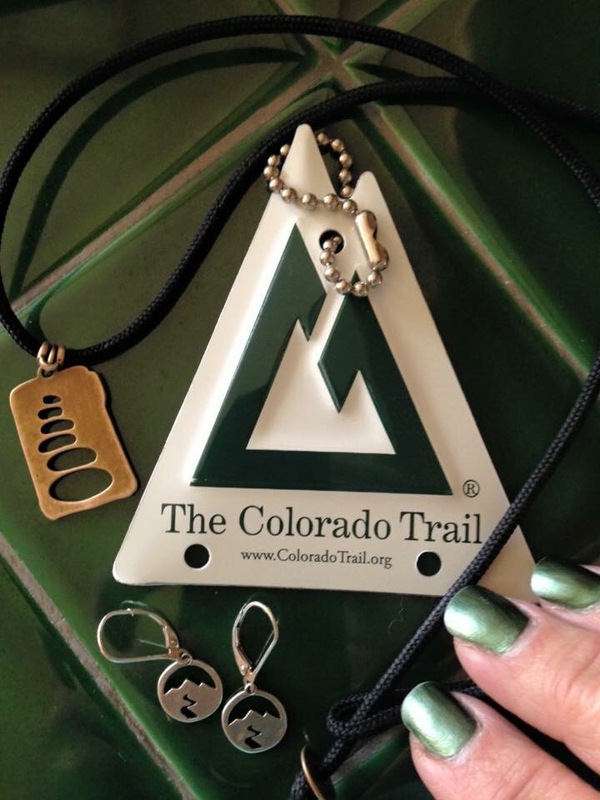 Posted on February 7, 2017 April 16, 2017 Categories Adventure, Backpacking, Colorado Trail, Hike Like A Woman, HikingLeave a comment on Planning an Adventure is Half the Fun! As many of you already know, last month I was one of 36 women to be chosen as an ambassador for the online community, Hike Like A Woman. Hike Like A Woman is the brainchild of Rebecca Walsh. She envisioned a community of like-minded women who would encourage and inspire each other to get outdoors and enjoy all the gifts Mother Nature has to offer. She wanted to share her knowledge of the outdoors with others in hopes of motivating them to do the same. Well, it worked!!!!! She has built an online community which has over 14,000 followers! She must be doing something right ~ and the community is gaining new members every day. A few months ago, Rebecca posted an idea that she hoped would help expand her philosophy ~ why not create an ambassador program to help her spread the word? What she originally had in mind, was to find 12 women who would contribute blogs and articles on hiking and backpacking, trip reports, stories of inspiration, hiking hacks, gear reviews, book reports, favorite hiking snacks, and more, so the website could take on a different personality. Rebecca didn’t want HLAW to be all about her. She wanted to extract ideas from different women of all ages, backgrounds, demographics and levels of knowledge in the hiking community. She crossed her fingers and encouraged women to apply for her pilot ambassador program by filling out an application and submitting an essay on why they should be picked as an ambassador. She hoped for any kind of a response. Well, guess what? She received 118 applications ~ one of which was mine! WOWZER!!!! She was bowled over by the unexpected enthusiasm of women who wanted to be a part of the HLAW Ambassador program. Now, Rebecca had a big problem – who to select? How in the world does one read through 118 applications and select only 12 to represent? She looked through the applications and decided she had to open the program up to more than just 12 women. She eliminated applications until she came to a manageable number of 30 women representing the US and 6 international ambassadors. Frankly, I had forgotten about applying for the HLAW Ambassador program. I had seen it flash by my newsfeed on Facebook. I doubled back and read about it. Intrigued, I applied, thinking it would be so great to share with other women who enjoyed hiking and backpacking as much as I did. 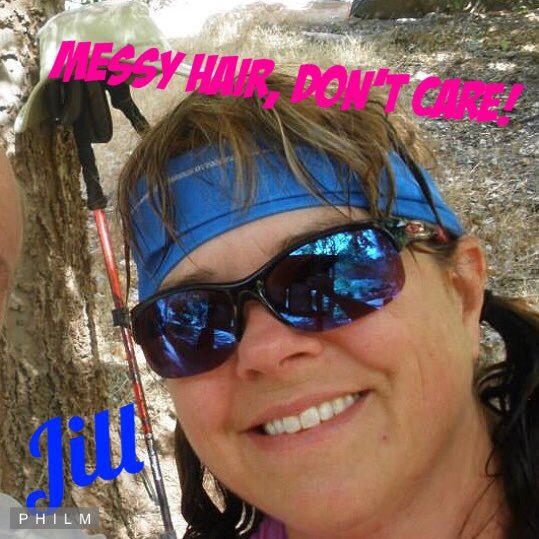 I LOVE hanging with my friends, but, other than my husband, Dale, I really don’t have anyone close to me who enjoys the outdoors like I do. So, I filled out my application, wrote my stupid essay, thought, “no way in hell, Jill”, pushed SEND and that was that. Over the next few weeks, a post would appear from Rebecca, “Narrowing it down to 80 applications. Will let you know by email when I decide…”. Holy moley! That’s a lot of women with more knowledge, charisma and experience than I have. I’m done…. So, I forgot all about it and channeled my energy towards other things. SCREAMING!!!!!!!!!!!! Oh. My. Hell. I was chosen. I WAS CHOSEN! Wait. What? I was chosen??? Really? Me? From Nowhere, Colorado?? Me? Really?? I must have read and reread Rebecca’s email numerous times. I still have it. I think I’ll print it and frame it. Never in my wildest dreams did I think I would even come close to being selected. Call it self doubt. Call it being humble. Call it low self esteem. Or modesty. Whatever you call it, that was me. And it still is. I am a Hike Like A Woman Ambassador. I am a Hike Like A Woman Ambassador. I kind of like the sound of that! ♥ My girlfriend, Cindy, who didn’t know at the time (we were sworn to secrecy ……great… that was soooo hard! ), noticed I had a spring in my step as I cruised by her office. It does give you a sense of validation to be one of 36 chosen from 118 applications. I’m still internally SCREAMING on a daily basis. I’m starting to sweat bullets and have a touch of anxiety as the deadline approaches for my first submission. But, I have all the other ambassadors and Rebecca inspiring me and encouraging me along the way, so that gives me the confidence that I can handle whatever comes my way. I am not alone in this journey. And that’s what we are all about. There are amazing women within this group of whom I have come to know and love as if I had known them forever. They bring so much to the table and I look forward to collaborating with them over the next year. Best part of being involved in the ambassador program? I get to help encourage and inspire others ~ whether you are a seasoned veteran hiker or a novice to the outdoors, we all need someone in our hip pocket to give us the little extra push to walk off that cliff backwards…. Posted on August 17, 2016 Categories Adventure, Backpacking, Hiking3 Comments on Screaming!!!!!! !